A radical new approach to the design of communications networks, called “network coding,” promises to make Internet file sharing faster, streaming video more reliable, and cell-phone reception better — among other improvements. MIT is in the thick of these new developments. Last year, MIT researchers shared in two awards from IEEE, formerly the Institute of Electrical and Electronics Engineers, for papers that made vital contributions to the field of network coding. “Most networks right now are built roughly along the same principles as a transportation network, or any other network that’s trying to deliver tangible goods,” says Muriel Médard, a professor in the Research Laboratory of Electronics who was a coauthor on both papers. A packet of data traveling across the Internet, for instance, passes through a series of devices called routers before it reaches its destination. 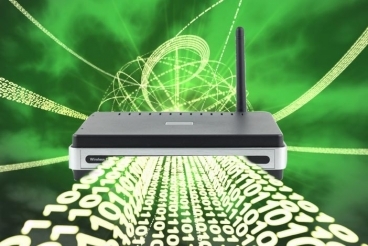 A router doesn’t tamper with the packet’s contents; it just sends it on to the next router.